We deal with many suppliers. This allows us to offer you a huge selection of doors, appliances and worktops. You can select from the widest choice of products in the marketplace! So, tell us what you would like and we'll get it for you. By not restricting ourselves to any one supplier AND by not having an expensively large showroom to run, we can provide you with the kitchen you've always dreamed of, at an affordable price. Forth Kitchens provide kitchens in the Edinburgh and East of Scotland area which are truly stunning, can add value to your home and completely change your lifestyle for the better. We provide Kitchens from our Edinburgh base, that are as individual as you are. Choose Forth Kitchens for a professional, reliable and bespoke service. Together we’ll create the kitchen that YOU want, at a realistic price. 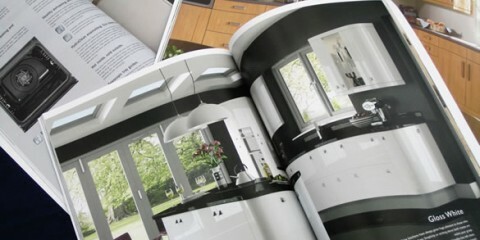 To get your FREE no obligation Forth kitchen design and quotation, call 0131 610 2003 now! Call today on 0131 610 2003 to receive your free Kitchen plan and quote with absolutely no obligation to buy. Or click to request a design visit from one of our specialists. We provide kitchens in Edinburgh and East Scotland, Fife, and the Borders. When it comes to kitchens we believe that quality products are the most important part to a successful job. 2019 Brochure Now Available Claim your FREE 2019 brochure now. See all of our kitchens in fabulous colour to help you embrace some of the lifestyle elements that characterize the best European kitchens at ver .. 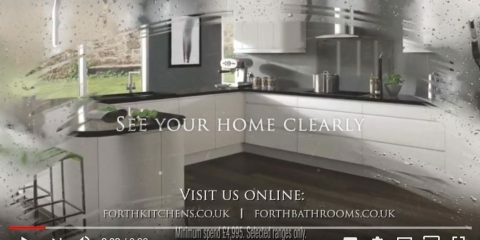 Forth Kitchens Advert 2019 ..
Free Installation FREE INSTALLATION- THE BEST OFFER IN TOWN Speak to one of our Kitchen Design Specialists and they will be able to tailor an offer to suit your needs, be it a new Floor, a new Ceili ..